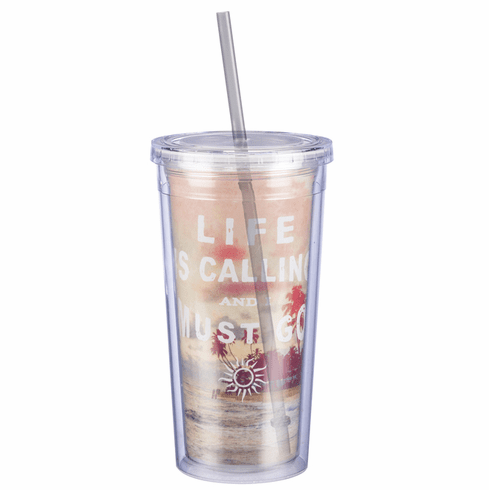 A BPA free plastic travel cup featuring a "Life Is Calling And I Must Go" sentiment with wrap-around tropical photography. Contains a top lid and built-in straw; holds 22 oz. Great gift for your favorite traveller, or inspiration for that special friend who needs to hear life's call!